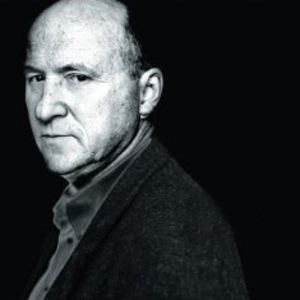 Richard Gavin Bryars (born 1943) is an English composer and double bassist. He has been active in (or has produced works in) many varied styles of music, including jazz, free improvisation, minimalism experimental music, avant-garde, neoclassicism, and ambient. Born in Goole, East Riding of Yorkshire, England, Bryars initially studied philosophy at Sheffield University before studying music for three years. The first musical work for which is he remembered was his role as bassist in the trio Joseph Holbrooke, alongside guitarist Derek Bailey and drummer Tony Oxley. The trio began by playing relatively traditional jazz before moving into free improvisation. However, Bryars became dissatisfied with this when he saw a young bassist (later revealed to be Johnny Dyani) play in a manner which seemed to him to be artificial, and he became interested in composition instead. A well known early work is Jesus' Blood Never Failed Me Yet (1971), which has as its basis a recorded loop of a tramp improvising a hymn of that name. On top of that loop, rich harmonies played by a live ensemble are built, always increasing in density, before the whole thing gradually fades out. A new recording of this work was made in the 1990s with Tom Waits singing along with the original recording of the tramp during the final section. Bryars was a founding member of the Portsmouth Sinfonia, an orchestra whose membership consisted of performers who "embrace the full range of musical competence" - and who played (or attempted to play) popular classical works. Its members included Brian Eno, whose Obscure Records label would subsequently release works by Bryars. In one of the first three releases from the label, Brian Eno's album Discreet Music, Bryars conducted and co-arranged the three pieces "Three Variations on the Canon in D Major by Johann Pachelbel" which constitute the second half of the album. Bryars's later works have included A Man In A Room, Gambling (1997), which was written on commission from BBC Radio 3 and Artangel. Bryars's music is heard beneath monologues spoken by the Spanish artist Juan Mu?oz, who talks about methods of cheating at card games. The ten short works were played on Radio 3 without any introductory announcements, and Bryars is quoted as saying that he hoped they would appear to the listener in a similar way to the shipping forecast, both mysterious and accepted without question. Bryars has written a large number of other works, including three operas, and a number of instrumental pieces, among them three string quartets and several concertos. He has written several pieces for choreographers, including Biped (2001) for Merce Cunningham. Between 1981-1984 he participated in the CIVIL warS, a vast, never-completed multimedia project by Robert Wilson. Bryars founded the music department at Leicester Polytechnic (now De Montfort University), and taught there for a number of years. He lives in England, and, in the summer months, on the west coast of Canada.